Smiling is good for you. 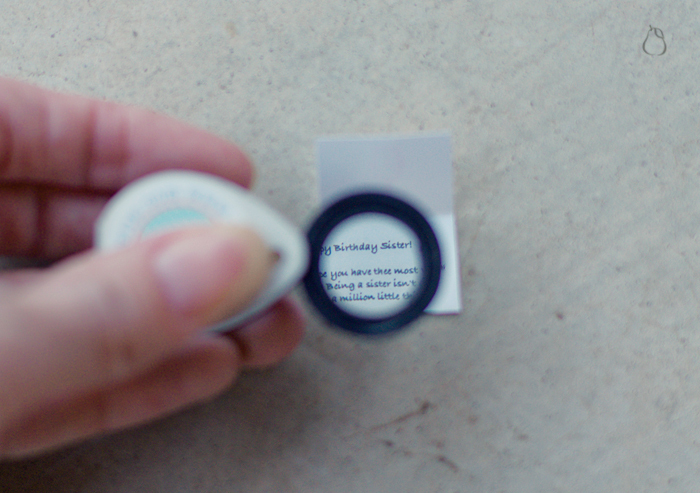 It makes everything seem better and plus it's nicer on your face. 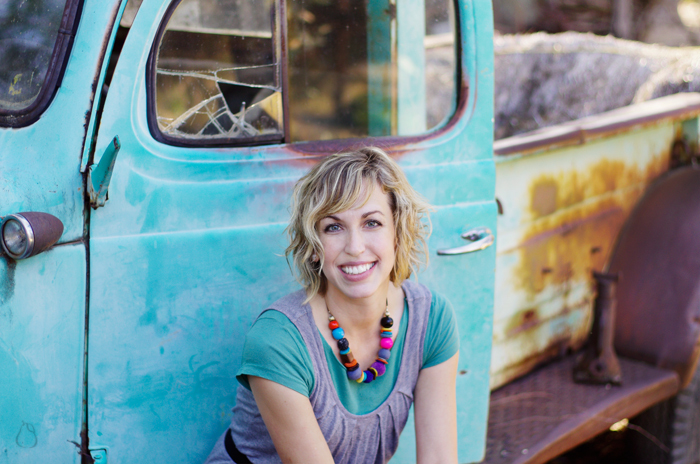 So I thought I'd share a few tidbits that make me grin, because I can always use an extra grin or two. For my birthday (back in December), my sister sent me the sweetest, most thoughtful gift. 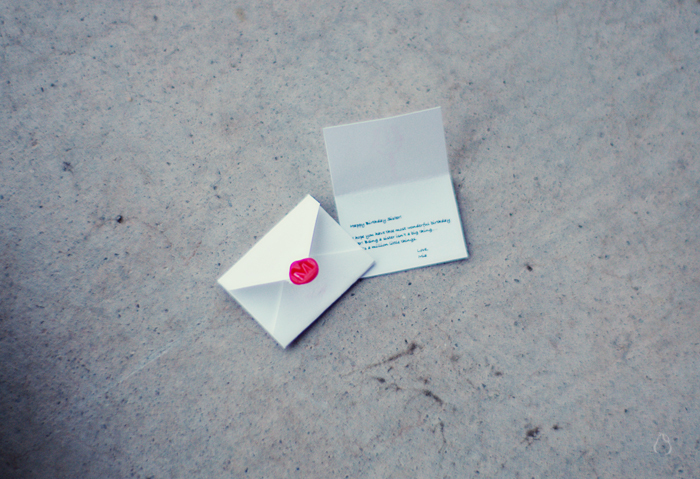 Awhile ago, I ran across this blog and fell in love with the diminutive cards and letters (miniatures are a weakness of mine). In fact, I loved them so much, we modeled Miss B's valentines after them last year. Anyway, my sister totally remembered for almost a whole year and sent me my very own miniature letter complete with a mini seal and a mini magnifying glass for reading the note. I almost cried. I cannot tell you how happy it made me. 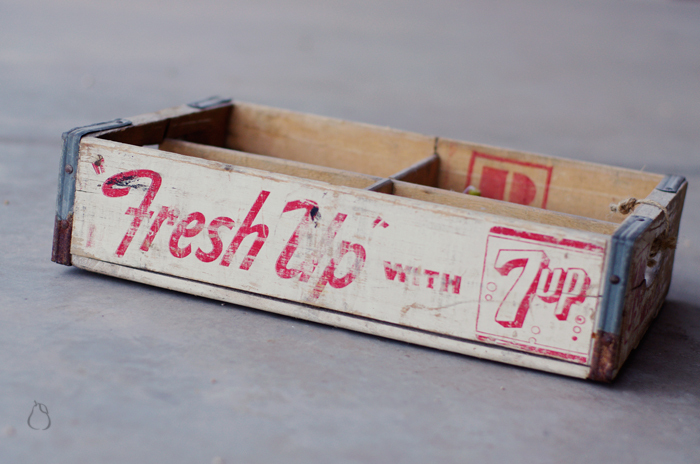 My antique 7up crate is a definite favorite and sure to bring a grin every time I steal a glance. 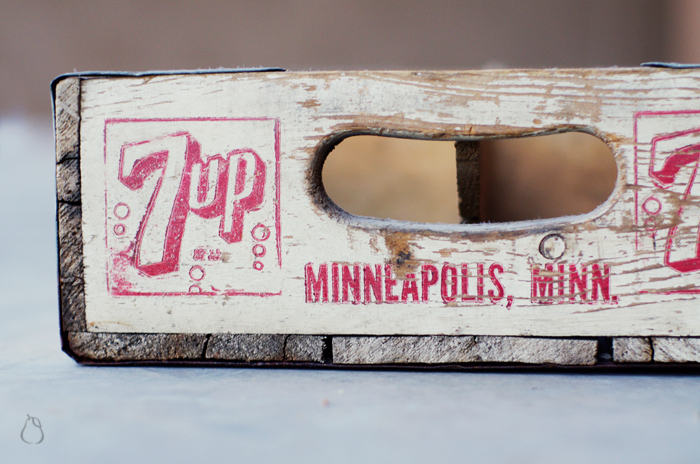 And I love it even more because I found it while shopping with a good friend in Minneapolis. We lived there for three years, and the little crate reminds me of the good times we had and the great friends we made. 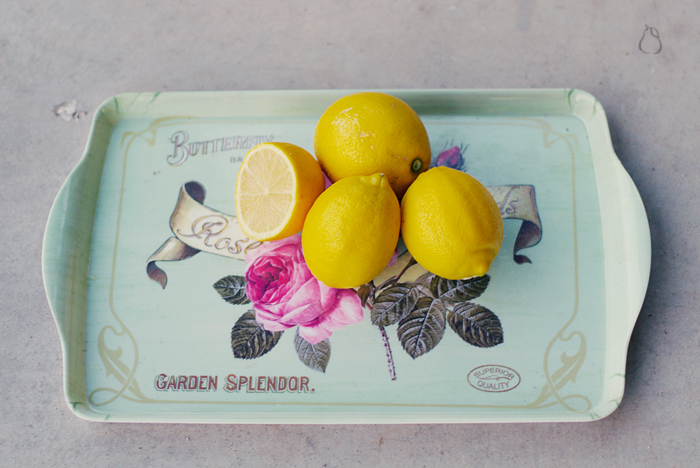 Someone gave me lemons and when I got home I sat them down randomly on my delightful mock-vintage tray from Ross and they just looked so cheery all day, I had to take a photo. 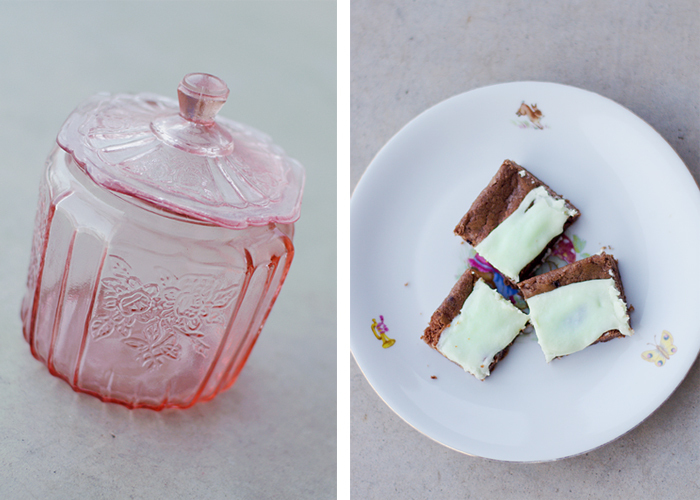 The pink depression glass ( I think that's the right term) canister that belonged to my grandmother, always brings back fond memories of her and her love of pretty dishes, anything to do with Coca-Cola, divinity and Smurfs. 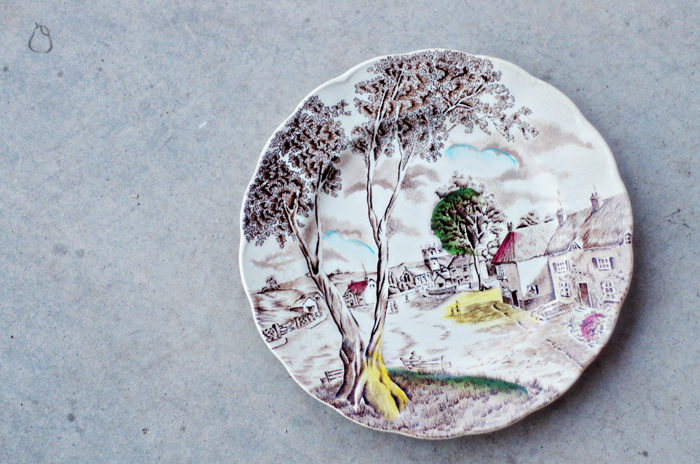 We inherited this beautiful plate (and the other remaining pieces of the set), from my husband's grandmother. I have it displayed and smile each time I look at it. I love the hand painted touches of color and the reminder of a great woman. I would have to agree with your friend Angelie, when you write and post pictures, they always make me smile. All those things that you inherited from your grandmothers are just like the things I have inherited and they make me smile too. 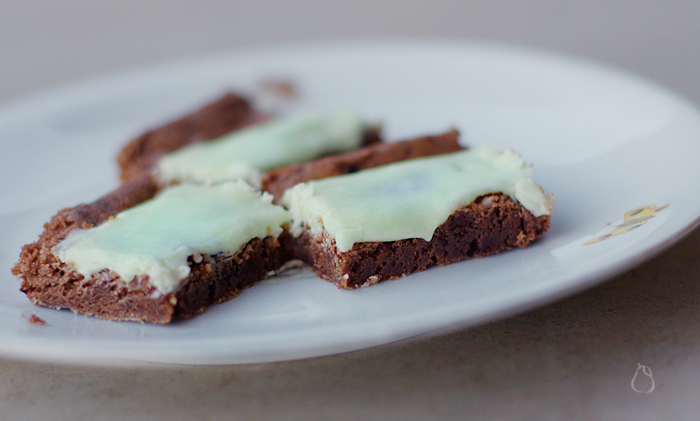 Mmmm, the mint brownies make my mouth water! Glad the hiccup in making them turned out yum! Love them all, and yes I did smile! love it, all of it! You look great in your picture. What a fun one. Oh I'm tickled pink! So many little bits of good news - we just can't have too many perks to getalong goalong, huh! So sweet. My fav is the tiny note. Reminds me of Ralph and the Motorcycle. :D Excellent! Uhm I am utterly appalled no discussion of me making you smile...grrr...we may have to breakup....did I make you smile...I knew it.